A SPECIAL Reserve Constable assigned to the foot patrol unit at the Chaguanas police station was detained at Gatwick airport in London on Monday after he was found with a kilogram of pure cocaine. The officer who has about ten years’ service, did not apply for leave to travel out of the country, and London investigators are now working with local Interpol officers to find out whether he was involved in trafficking cocaine into the United Kingdom. The officer, who lives in the Central area, reportedly left for London last Sunday night. On his arrival at Gatwick his luggage was searched and the cocaine found. He taken into custody and up until yesterday was being questioned by London police officers. Sources said he refused to co-operate with police. He asked police to make contact with his relatives so that arrangements could be made for him to get legal representation. Newsday understands that acting Police Commissioner Stephen Williams was told of the arrest at Tuesday’s Comstat meeting at the Police Administration building. A senior officer said he was awaiting an official report from London which would be made available to the CoP. The source said the arrested officer faces immediate suspension and the Special Reserve Police Adjutant, who is responsible for all SRPs, had also been told of the arrest. Sources said London police had been monitoring the officer’s travel and on the basis of their suspicions decided to search his luggage on Monday. Yesterday ACP in charge of crime Irwin Hackshaw said he was told of the arrest on Tuesday but was awaiting official correspondence from London. A Special Reserve Constable assigned to the foot patrol unit at the Chaguanas Police Station was detained at Gatwick Airport on Monday after he was found to be in possession of one kilogram of raw cocaine. 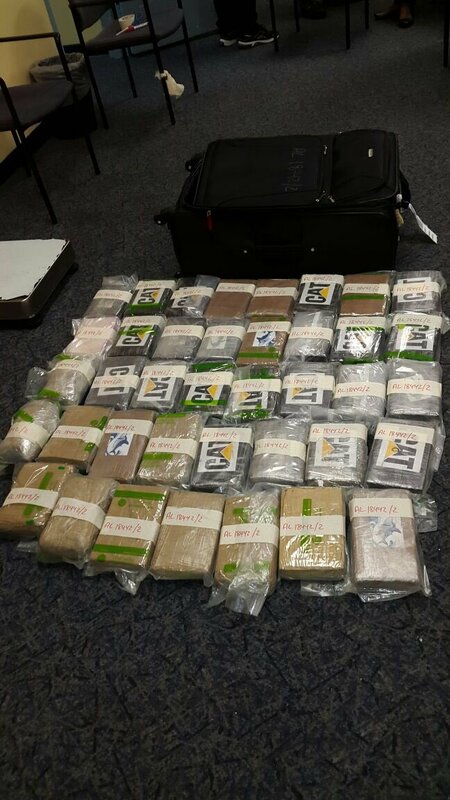 The officer, who has about 10 years service, did not apply for official leave to travel out of the country and investigators in London are now working closely with local Interpol officers to probe his involvement in the trafficking of cocaine into the United Kingdom. The officer reportedly left for London last Sunday night and when he arrived at the Gatwick Airport his luggage was searched and the cocaine found. Reply to "Trini cop held with pure cocaine at UK airport"